Maggard began her career with Adventist Health System in 2003 and currently serves as administrator for Florida Hospital Winter Garden. Amanda is an effective and mission-focused leader who has excelled in engaging physicians, team members and the community in providing exceptional, whole-person care. 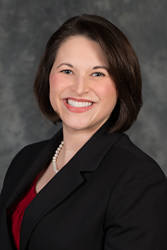 Amanda Maggard, administrator for Florida Hospital Winter Garden, has been named CEO for Florida Hospital Zephyrhills, effective Sept. 4. 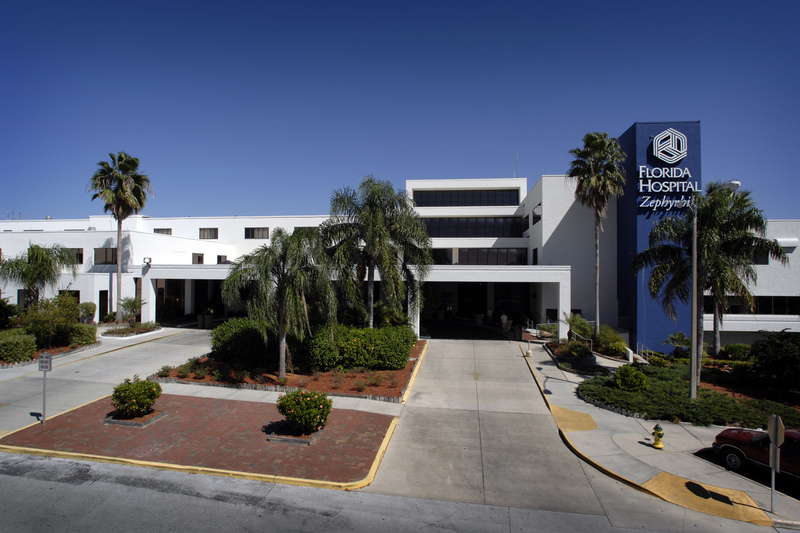 Florida Hospital Zephyrhills is an award-winning 149-bed regional medical center located in East Pasco County, Florida, and a member of Adventist Health System. In this role, Maggard will be replacing Randy Surber, who was recently promoted to CEO for Florida Hospital Heartland Medical Center. She will report to Bruce Bergherm, senior executive officer of acute care services for the West Florida Division of Adventist Health System. As administrator, Maggard currently oversees the strategic development and operations of Florida Hospital Winter Garden, an outpatient hospital that operates an emergency department, an observation unit, outpatient surgery, outpatient imaging, an outpatient lab, and a large multi-specialty physician clinic. Prior to its February 2016 opening, she led the facility’s design and construction, operational planning, community and physician engagement and team onboarding. Later in 2016, her responsibilities expanded to include senior leadership for Florida Hospital Apopka’s ancillary and support services. Prior to serving as administrator for Florida Hospital Winter Garden, Maggard was the assistant administrator and chief operating officer for Winter Park Memorial Hospital, and previously served as the director of operations for Florida Hospital Altamonte. During her tenure with Adventist Health System, she has also served as a manager for training and consulting for the health system, and as a marketing and foundation coordinator for Florida Hospital Apopka. “I am confident that Amanda’s knowledge of hospital operations, proven track record of employee and physician engagement, pursuit of excellence in patient-centered care, and experience in growing and developing people, service lines and facilities will extend our impact in Pasco County,” said Bergherm. Maggard earned a master’s in business administration from Webster University in Orlando, Florida, and bachelor’s degrees in business administration and communication from Union College, in Lincoln, Nebraska. She received the Mardian J. Blair Family Scholarship for Health Care Management during her undergraduate studies, and was a graduate of the Florida Hospital Physician Leadership Development Program in 2015. Maggard is certified by the American Society of Training and Development in the fields of training, instructional design and organizational change. She is a Six Sigma Green Belt, a member of the American College of Healthcare Executives, and was named one of the Orlando Business Journal’s “40 Under 40” in 2015. Maggard is also active in the community, serving as an executive board member of the West Orange Chamber of Commerce, a board member of the Garden Theatre and a member of the Central Florida Women’s League. “It is an honor to be joining the Florida Hospital Zephyrhills team. Developing strong physician partnerships will be key to Florida Hospital’s success in Pasco County. Randy and his team have done a great job building these relationships over the past several years, and I look forward to continuing that momentum. The West Florida Division is a rapidly growing market, and I am energized by the opportunity to expand Adventist Health System’s presence and impact in the community,” said Maggard. Maggard and her husband Michael, a high school volleyball coach, have two young boys, Griffin and Landry. In their free time, they enjoy going to Disney World and fostering their NFL rivalry, cheering on the Dallas Cowboys and Washington Redskins. They are also active members of Florida Hospital Seventh-day Adventist Church, where Maggard is on the worship team. Adventist Health System is a faith-based health care organization headquartered in Altamonte Springs, Florida. A national leader in quality, safety and patient satisfaction, Adventist Health System's more than 80,000 employees maintain a tradition of whole-person health by caring for the physical, emotional and spiritual needs of every patient. With 45 hospital campuses and more than 8,300 licensed beds in nine states, Adventist Health System facilities incorporate the latest technological advancements and clinical research to serve more than 4.7 million patients annually. The full continuum of integrated care also includes urgent care centers, home health and hospice agencies and skilled nursing facilities. Each Adventist Health System facility operates independently in delivering care and services to best meet the needs of the local communities they serve. While each entity is unique, all remain united in one mission of Extending the Healing Ministry of Christ.